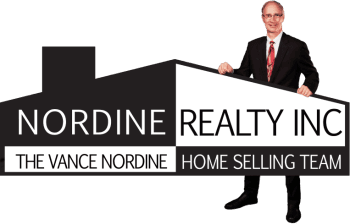 We are Vance Nordine & Mary Nordine Hale, a father-daughter real estate team. We are the third & fourth generation in our family to practice real estate, and with that comes a wealth of knowledge. We have both been in Real Estate for our entire professional careers. That's over 40 years of combined experience! Vance has worked through several market cycles, and has helped clients during both the peaks and valleys. Our team knows how to solve problems, and better yet, is careful, detail oriented, and oftentimes able to avoid problems all together. We are your consultants, negotiators, and overseers of the transactional details. Let the Vance Nordine Home Selling Team look out for your best interests as you embark on the next leg of your journey. Vance was very helpful in explaining procedures. He went well out of his way to ensure things were in order. Because of his thoroughness, he saved us thousands of dollars. We highly recommend Vance and look forward to working with him in the future.